Going Green #08 ~ Recycle green? I want shoes in this particular color so badly! Popping Pink #17 ~ Poppy pink. This one is my favorite, coz it's such a pretty & wearable pink. Crimson Fire #24 ~ Chilli red...tsss. 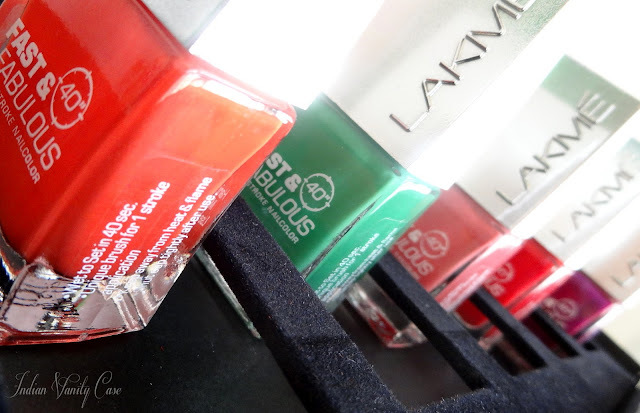 Great for toes. Purple Fix #09 ~ Iridescent purple. Like I said in my previous review, I feel Rs.175 is not inexpensive for these. I found the shimmery Purple Plunge easier to apply than these ones. These are creamy, and they dry so fast that I had to smooth out the streaks with another coat. The good things about them is the wide one stroke brush that enables quick application, and the cute packaging. 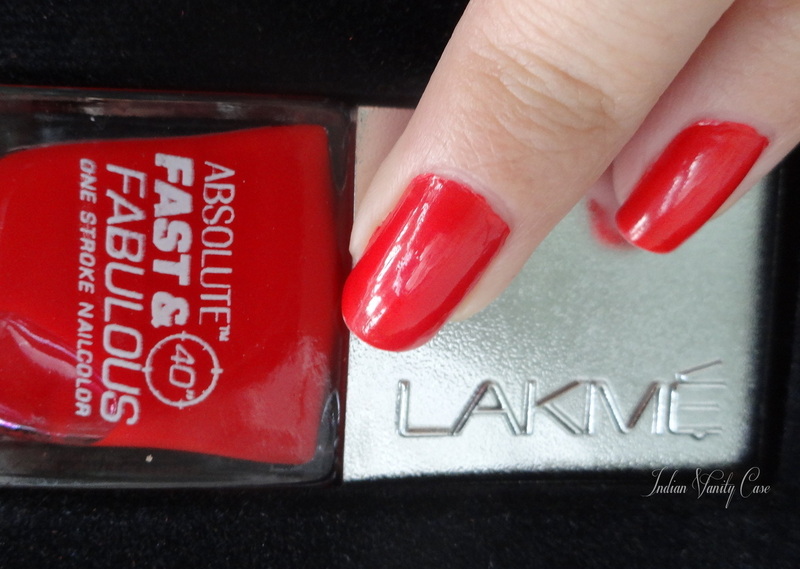 Lakmé Absolute Fast & Fabulous Nail Color is available in 30 shades. Disclosure: Products sent by PR for consideration. All opinions are my own, as always. Oh wow! M loving these ! Green and Orange are perfect ! And only three days old ?? Wow. Great finish ! :) Going to buy soon :P ! The way you've clicked the pics...so stylish & so very chic!! I have that same green shade from this brand called Etude. 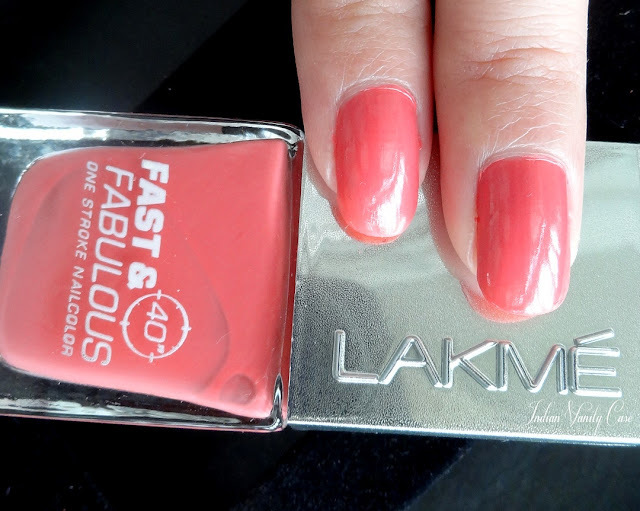 I'm not sure how popular this brand is, but my local drugstore has it and the brand has all the exact colours from the lakme range. 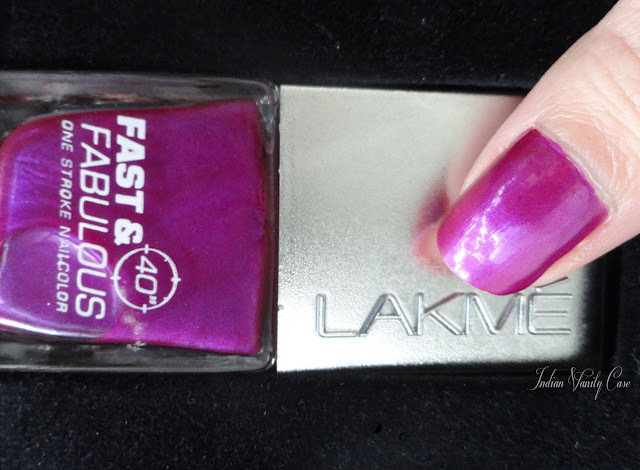 Each bottle retails at 30 bucks and the colour is fabulous! 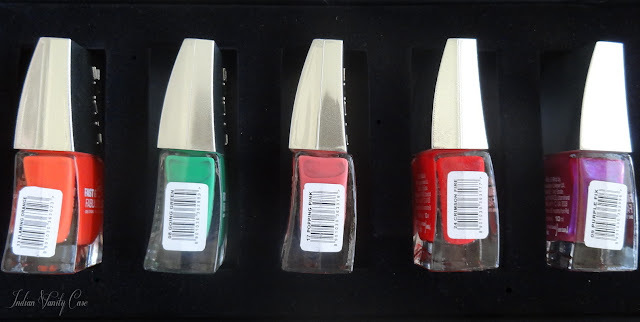 Etude always has some pretty colors, and so affordable! Going green is ohh so pretty!!! nice ! hey CZ I was wondering if you would do a tute on applying nail polish ? I am such a dunce at it :P it always streaks and looks crappy ... any tips ?